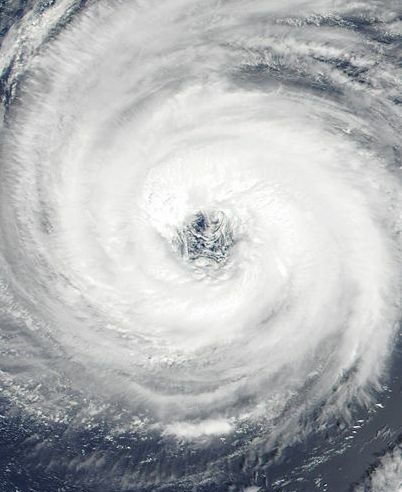 HOW DO HURRICANES EFFECT THE ECONOMY? In the months following a storm, the local economy will initially see huge losses of wealth. But following that, thriving areas will actually see a bump when insurance checks are cut, and rebuilding takes place. Spending also gets shifted around regionally. People evacuate and spend money elsewhere. Hardware store, gas stations, grocery stores and hotels see increased business while local business are shuttered. The national economy sees a small dip in GDP. “Hurricanes impose huge losses of wealth and initially slow regional economies, but over time they can be a tonic that creates more prosperous communities,” According to Florida Realtor. What the data shows here is that thriving communities rebuild, and often in a way that enhances the area and results in a better community. New buildings improve the area and are often built to better withstand acts of nature. “Some areas see a bump in growth from the rebuilding,” according to an article in the New York Times. However, in poorer areas, most damage falls on the uninsured and rebuilding doesn’t take place. These areas may never fully recover. Each storm and area has its’ own nuances. Was the damage mainly for flooding or wind? What percentage of the effected had insurance? How much damage occurred to the local industry, such as were oil refineries impacted? My short answer to a complex question is that in most cases, areas hit by hurricanes come out stronger in the long-run and so does our national economy. “Hurricanes make us poorer but don’t slow the economy” Florida Realtor, 9/26/18. “Hurricane to Cost Tens of Billions, but a Quick Recovery Is Expected,” New York Times, 8/28/17. The Florida Keys were my home for 10 years. Specifically, I lived on Cudjoe Key at mile marker 23 which means it is right above Key West with the southernmost point being mile marker zero. Although I had been in St. Pete for several years when hurricane Irma hit in 2017, I watched the news as the damage unfolded with a sick feeling in my stomach. Despite that I had sold my former home there and closed my business, it all still felt like it was hitting home. Key West was left virtually physically unaffected. Irma’s eye hit right over my old house in Cudjoe Key and spared the area to the west. The Lower Keys and Marathon were the most severely impacted, but damage was done all the way up to Key Largo. Immediately after hurricane Irma, the landscape of the Keys was drastically diminished with many downed trees and trees and shrubs stripped of leaves. I spoke to my good friend Loren Rea who lives in Sugarloaf Key (MM 16) and asked for her perspective on life in the Keys post-Irma. “It is amazing to see how much things have grown back,” said Rea. 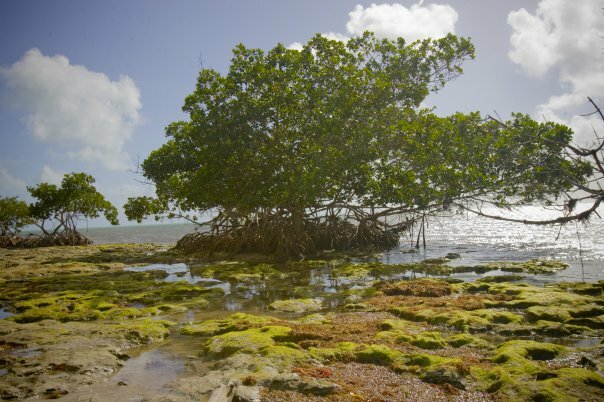 The tropical climate of the Keys has allowed for fast regrowth. This includes the mangroves which were affected but are also growing back. In the Lower Keys and Key West, things look pretty normal. But in Big Pine Key, clean-up work is still in progress. Now a year later, groups still go out on organized weekend cleanups to remove debris from canals and mangroves. Keys residents have self-coordinated to do some of the clean-up themselves. Some of the islands were shifted by Irma. Picnic Island, a long-time popular hangout spot for boaters, is now 3 separate islands according to Rea. Local fishing guides are out putting anglers on fish just as they were before Irma. 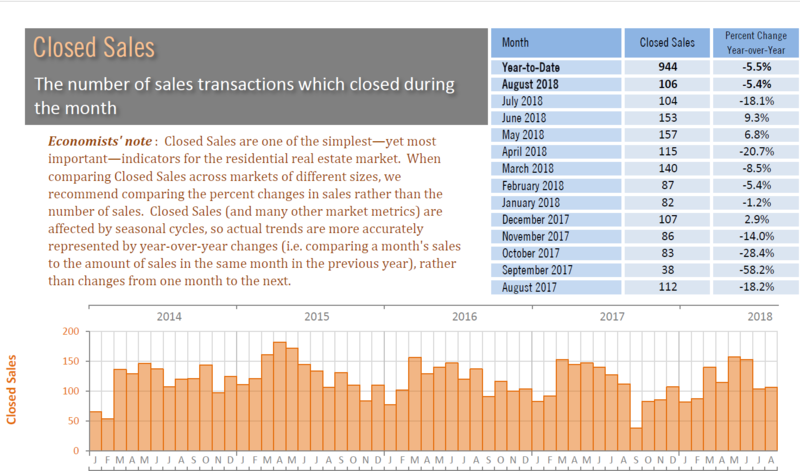 The chart below of closed sales by month shows that most months after hurricane Irma have had a significantly lower number of closed sales than the preceding year. Prices, however, have continued to rise with the median price up 4.3%. 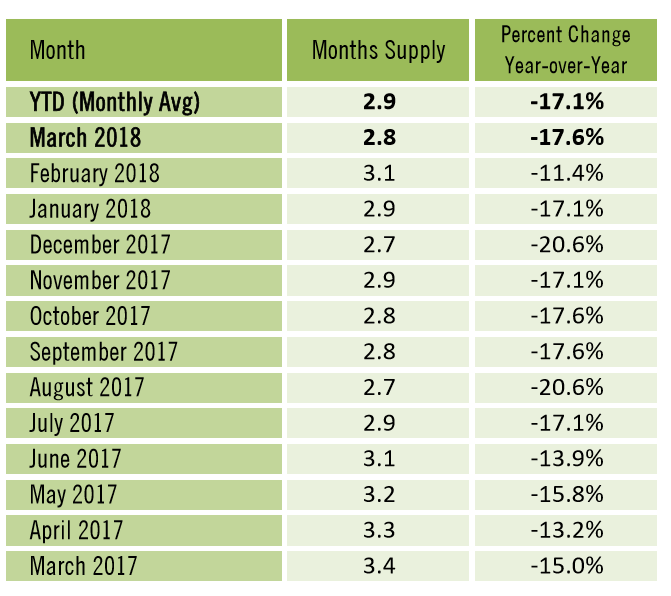 The supply of inventory in the Keys is much higher than the rest of the country with 9.2 months compared to the average of 2.9 in most of Tampa Bay. 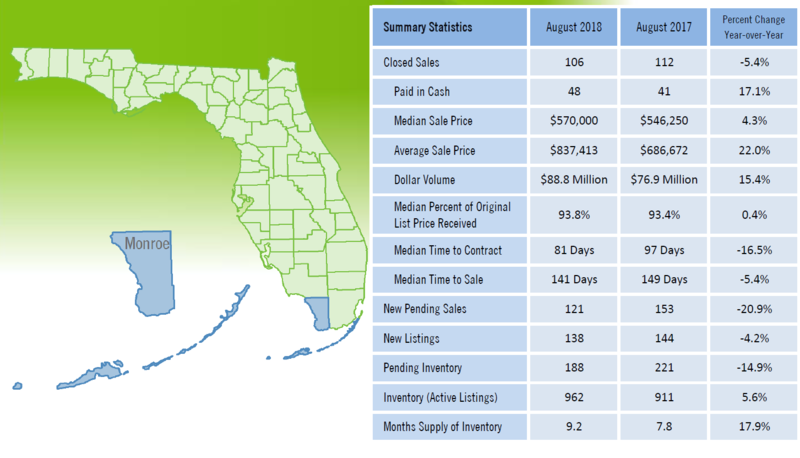 Median time to sale in the Keys is 141 days compared to 65 in Pinellas County. The labor force is now 11% smaller than it was before Irma. * Rea said that the effects of a decreased population and workforce are felt in daily life. Lack of staff in doctors’ offices, stores and restaurants is affecting service. The Keys population swells in winter-months with snowbirds and vacationers. But the year-round residents are those working in the restaurants, hotels and other tourist attractions. Post-Irma the Keys had a housing shortage. Many displaced due to damaged properties found temporary harbor in hotels but were pushed out once tourist season rolled around. Some residents just couldn’t withstand the loss of income felt around the hurricane. And some landlords capitalized on the housing shortage, and raised rents adding to the financial blow. The suicide rate in the Keys doubled post-Irma,** and every resident seems to have known a handful of people lost to it. Every hurricane is unique just as the Keys are a unique place. What Does a “Seller’s Market” Really Mean? Most of the nation is currently in a seller’s market and has been for some time. While it may seem obvious this means that the market favors home sellers over buyers, what does it really mean? A seller’s market means that there are more buyers than sellers active in the market. The inventory of homes is low. This creates a competitive marketplace where homes sell at a faster rate and often get multiple offers on the same home. This is also contributing to the increase in home prices (think supply and demand). In a seller’s market, buyers have less bargaining power. Currently, a buyer may feel they don’t have an abundance of homes to chose from and in some cases are waiting for new homes to come on the market. To gauge just how strong of a seller’s market we are in and what direction the market is heading, look at the month’s supply of inventory. The industry standard for a balanced market is 5.5 months of inventory. The statistics below are provided by Florida Realtors (Association). 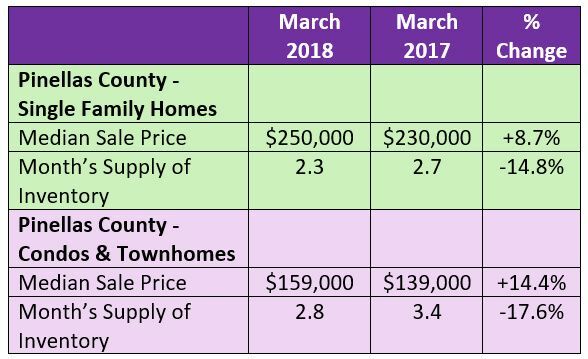 The above chart shows that the median sale price for single family homes in Pinellas County have gone up 8.7% in the past year and the inventory has gone down 14.8%. The median sale price of condominiums and townhomes went up an ever greater amount of 14.4% and the inventory was down a whopping 17.6% over the prior year. To read more on a seller’s market, read my Blog “The Best Time of Year to List a House for Sale,” which explains the absorption rate and it’s correlation to seller’s and buyer’s markets.